As we approach Christ’s Passion Week, I think it’s a good time to slow down and remember all of the events that took place during a very short time. The Faithlife Illustrated Study Bible has an excellent infographic on the timeline of these events. You can click on the image above to access a larger view, or you can check it out on the website. I also invite you to join me at Calvary Assembly of God as we are taking a slow walk on Christ’s Passionate Journey toward the Cross and the empty tomb. 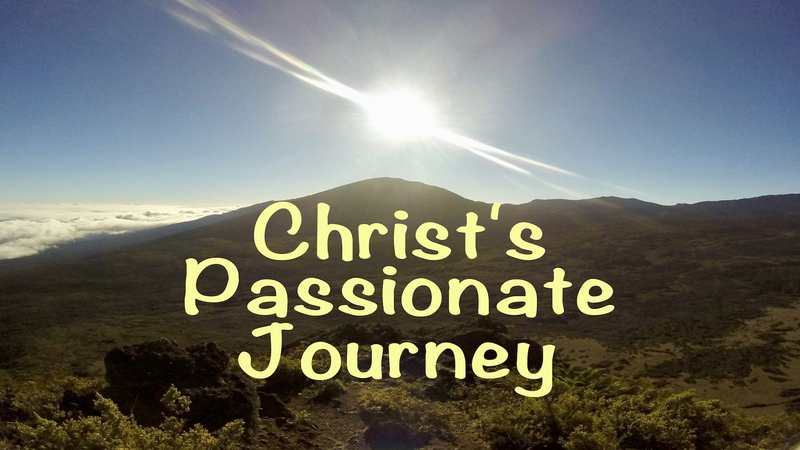 We’re spending one week looking at each of the 8 days of His Passion Week. If you cannot join us in person, please check out our Facebook Live broadcast. What’s Your Knee-Jerk Response To Trouble? The patellar reflex is a helpful diagnostic tool for a doctor to check the health of your central nervous system. It’s commonly called the knee-jerk response. 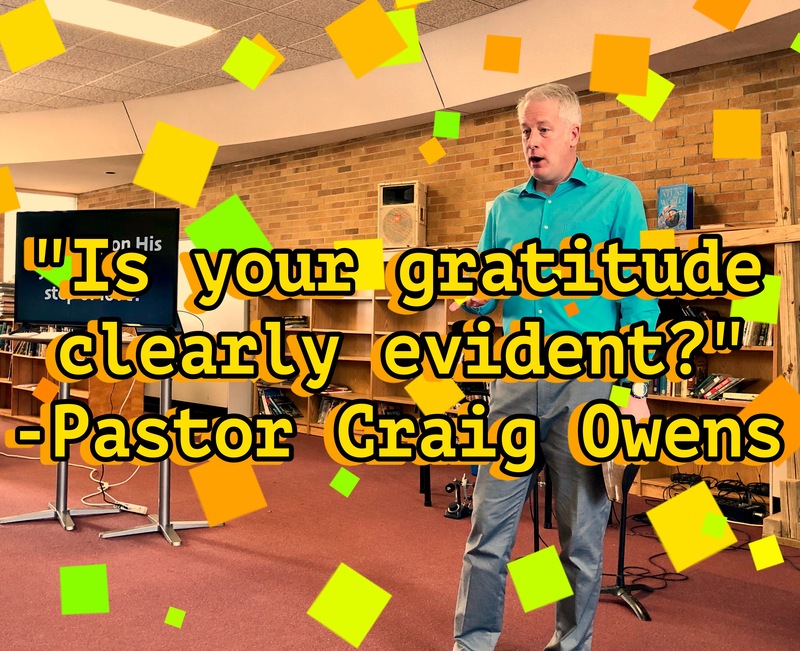 But beyond the medical world, it’s also come to mean “an immediate unthinking emotional reaction to certain stimuli.” This has implications for the health of our prayer life too. So when something unexpected happens to us, Jesus wants us to say, “Why, my Father already knows about this!” This is the knee-jerk reaction Jesus wants to see. There are two interesting things I notice in their prayer. The first thing is how they used the Lord’s Prayer (Matthew 6:9-13) as the template of their prayer. Our Father in Heaven—Sovereign Lord. Hallowed be Your name—You made the heaven and the earth and the sea, and everything in them. Your kingdom come, Your will be done on earth as it is in heaven—Your power and will decided beforehand what would happen. Give us today our daily bread—Enable Your servants to speak Your word with great boldness today. Lead us not into temptation, but deliver us from the evil one. For Yours is the kingdom, and the power and the glory forever—Stretch out Your hand to heal and perform miraculous signs and wonders. May Your name be glorified! The second thing I see in their prayer is that they stood on a biblical promise. 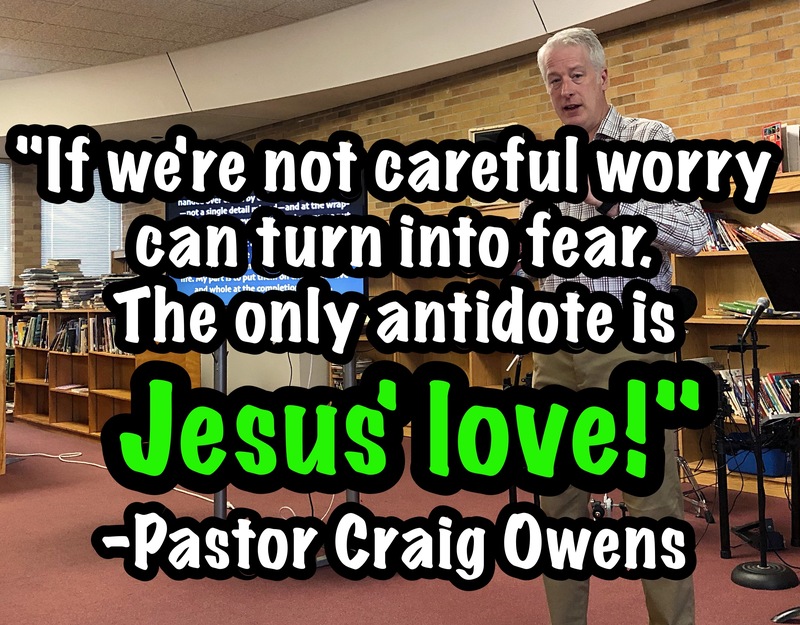 They quoted the words of David from Psalm 2—words that had been penned nearly 1000 years earlier—and applied them to their present situation. 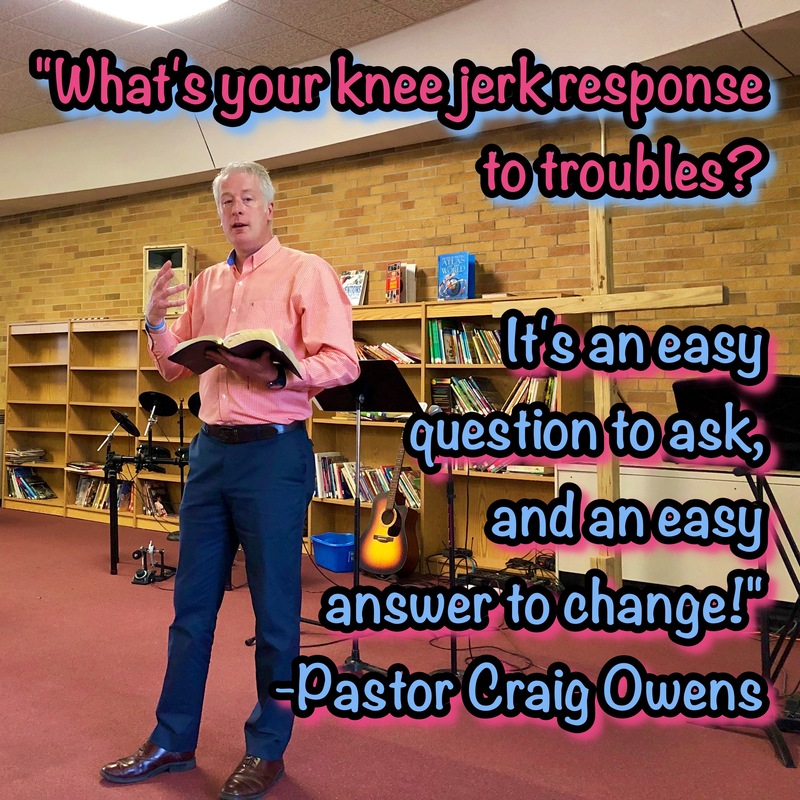 What’s your knee jerk response to troubles? It’s an easy question to ask, and an easy answer to change. When something comes at you from out of the blue, learn to say, “Why, my Father already knows about this!” Then find a biblical promise you can claim and turn that promise into a prayer modeled on Christ’s prayer. Pray that again and again until God provides the answer. Let’s make prayer our first response and not our last resort! A great example of a man who prayed long and hard—and fought off the things that might discourage him to give up—was Daniel. Daniel had previously been given insight from God to interpret dreams, visions, and other messages from heaven, but on one particular instance, he was stuck. God gave Daniel a vision, but not the meaning of that vision. Daniel began to do two things in the physical realm that results in two unseen spiritual victories taking place. Second, Daniel fasted. The word fast literally means “to cover the mouth.” In Daniel’s case, we know that for 21 days he abstained from meat and wine. But he also abstained from “choice food” (NIV). What are those? I think these might be our “comfort foods.” Foods we go to to help relieve stress. Foods that become substitute sources of help, instead of humbling ourselves to go to God and ask for wisdom. As Daniel was praying and fasting, it appeared that nothing was happening. But there were actually two victories won out of human sight. First, a spiritual battle was won. The angel sent to Daniel was locked in combat with a demon for 21 days before he broke free to come to Daniel. We are still involved in that kind of spiritual warfare today (see Ephesians 6:12-18). Second, Daniel was being refined and strengthened. When the angel arrived, he called Daniel “highly esteemed.” Don’t miss this—this greeting is the same Hebrew word used for what Daniel fasted (“choice food”). In other words, the temporary thing Daniel fasted turned into something of invaluable strength. What if Daniel had stopped praying after 2 days? 10 days? 20 days? Daniel—and you and I—may not see with our natural eyes the victories that are being won, but make no mistake about it: Our fasting and praying IS doing something amazing. Your prayers are being heard. Spiritual battles are being won. You are being refined. God IS going to accomplish something great. God IS being glorified. Don’t stop praying and fasting until God comes through! 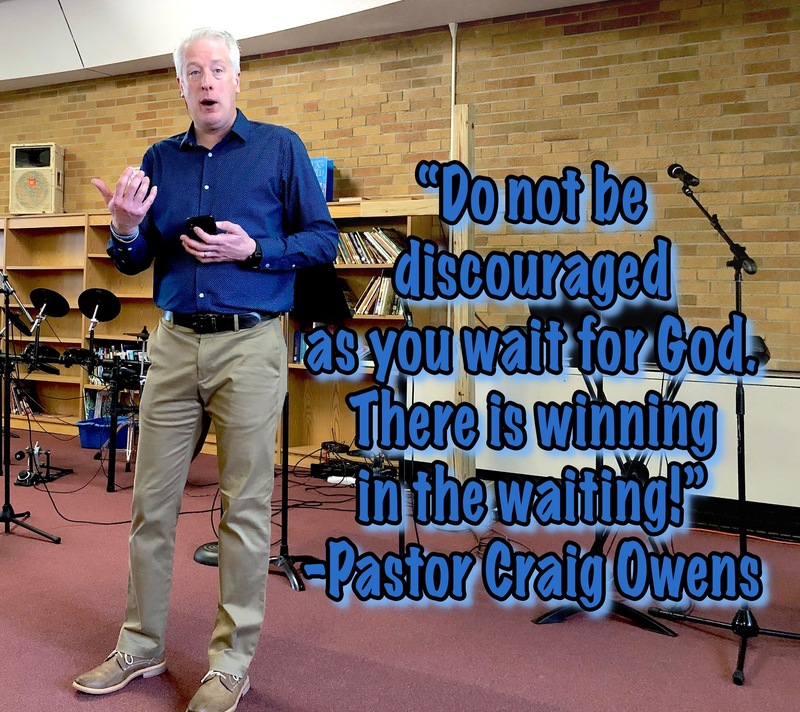 Do not be discouraged as you wait on God. There is winning even in the waiting! Join me this Sunday as we conclude on series looking at the bold pray-ers in the Bible. We have been looking at some bold pray-ers in the Bible, but today’s example takes it to a whole new level by praying an “impossible” prayer! Here are 4 valuable lessons we can learn from the prayer of Joshua. 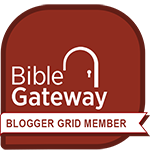 When this story opens, the city of Gibeon is calling on the Israelites to help them. Five Amorite kings have all ganged up on Gibeon because of the treaty they made with Israel, and they intended to crush them into oblivion! Joshua—without any debate, consultation, or hesitation—mobilizes his forces. Notice that there are no half-measures or hedging his bets. Joshua marches out with the entire army, including all of his elite warriors to rescue Gibeon. Joshua’s troops marched all night to cover the 21-miles to get to Gibeon by daybreak. Modern-day military experts say that an army can cover about 20-25 miles before they are at the point of total exhaustion, so Joshua took his men right up to this point. But this all-night march surprised the five attacking armies, so much so that the Bible says God threw those enemies into a panic and God even fought for them, raining hailstones down on the Amorites that killed more men than the Israelites did in their attack! After an all-night march and an all-day battle, the Amorites are on the run. This is when Joshua prays his “impossible” prayer. He asks God to let the earth stop rotating so that the sun and moon in the sky will give the Israelites enough light to complete their victory!! How could Joshua pray such an “impossible” prayer like this? He had already seen God do the “impossible” like drying up the Jordan River and knocking down the supposedly impenetrable walls of Jericho. God already told Joshua, “I have given them into your hand. Not one of them will be able to withstand you.” Joshua didn’t put an asterisk on God’s word—if God said every enemy would be defeated, that’s what Joshua was claiming. Joshua was already moving forward in faith. He wasn’t sitting around waiting for God to do something. He was letting his marching be his praying. The sun stopped in its tracks in mid-sky; just sat there all day. There’s never been a day like that before or since—God took orders from a human voice! 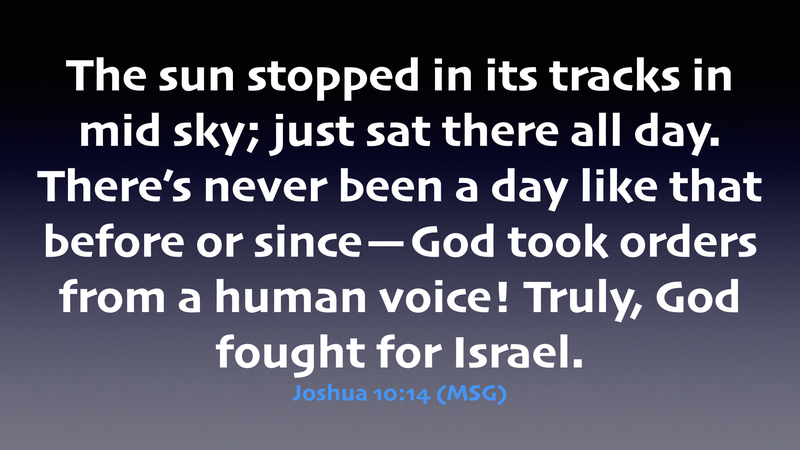 Truly, God fought for Israel (v. 14, The Message). Get God’s Word—what promise will you stand on? Don’t put any asterisks in there! Watch God confuse your enemies—when the Israelites showed up God “threw them into confusion,” which literally means He discombobulated them so they couldn’t coordinate their counter-attack on Israel. Publicly pray an “impossible” prayer while you fight! Tell others what your “impossible” prayer is so that God gets all the glory. Join me this Sunday as we learn from another bold pray-er from the pages of Scripture.